Call me crazy BUT i'm really digging the Savage World pieces of the Horror line. 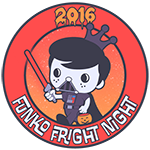 Not big on horror but love what Funko is exploring with that cross over. 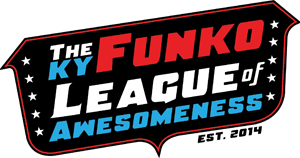 Anyone have any other crazy ideas for Funko? I know that we NEED a Savage Would Freddy! Bursting through his blue pants and white shirt, bow tie as a bandana or something, with a sick crown! AHHHHHHH that would be so epic! I can't remember where I saw these but something like NFL players turned into monsters. That would be pretty cool. I would love some Universal Monsters in this style!! I think real-world leaders could provide very interesting subjects to the Savage World line! Also a Chuck Norris figure should be added in, well just because! Jango_Fresh wrote: I can't remember where I saw these but something like NFL players turned into monsters. That would be pretty cool. What about the monster team from one of the madden games about ten years ago. Like the Monsters of the Gridiron football cards? Pretty much a bunch of 80's/90's Movies heroe would make great Savage World toys as well. i cant wait for these. Id love to see one of the gremlins. Terminator would be awesome too. I loved those old school Terminator figures. Can’t wait for the savage world line to release! A line that will be dope to make is God of War and expand into the mythological creatures. Yes a God of War line would be amazing. Xena: Warrior Princess and Hercules: The Legendary Journeys. Also, classics like Clash of the Titans and Jason and the Argonauts. Has anyone that watched Funko: Making Fun on Netflix been able to determine what the figures in the control art behind Reis are. There were several that haven’t been shown yet. One I’m sure was Red Sonja but I’m unsure about the others. I’m just checking back to see if anyone has seen preorders for any of these or has heard anything at all about a release date. I was hoping to have heard something at SDCC or a comment from Reis. At this point, I’m not really sure if these will be out this year. Does anyone have news on this line? Ooh, Mutant League Football would be aces. Yes Mutant League Football! I loved that game! I’m hoping the Conan the Barbarian series Amazon is working on will give Funko plenty of material to really expand upon what they have revealed thus far in Savage World! I really like the way funko is going all out on these and putting so much detail on the figures. The horror ones turned out so well I’m excited to see just about anything in this style. I’d really love to see 1980’s “Clash of the Titans” in the Savage World line. I would also love to see “ Krull” that’s the movie with the bladed glaive(kinda like a lethal fidget spinner!) It would also be great to have character from all the Ray Harryhausen movies like “Sinbad” and “Jason and the Argonauts”. 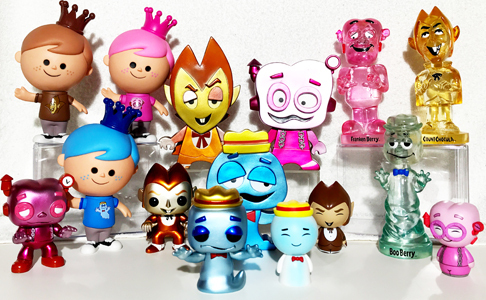 I wouldn’t even mind if Funko flexed a little creative license and interpreted the gods and monsters of myth from the ancient world in this line. I could see stuff from Dark Ages, Vikings,Greece, Rome, Egypt, India, China, The Aztecs, Maya, Middle East and Native Americans. Last edited by bgiles73 on Sun Aug 19, 2018 2:20 pm, edited 1 time in total. If Funko were able to acquire the license I think Super Smash Bros characters would look really cool in Savage World form. Has anyone else here that’s watched the “Funko: Making Fun” movie on Netflix noticed the control art for Savage World figures on the walls in the background to the right side of the screen? It’s in the scene where they are interviewing Reis and he tells about when he first became artistically inspired. I saw not only Ghostface from “Scream” and what appeared to be Red Sonja but it also looks as if Universal Monsters stylized figures might be in there too! I’m just wanting to know if anyone else might know if there are any clear still shots of this anywhere on the internet? bgiles73 wrote: Thundercats look fantastic! Yessir!!! Got to have these!!! Can’t wait! More pics for the Thundercats, Conan, Horror. I thought of another one. They could do the cast of the Expendables as Savage World Figures. A lot of possibilities there. In a related question anybody know how much Savage World Figures are going to retail for? I am hoping to get the Horror set when they release. I wonder if they will make a Street Fighter II as Savage World Figures. AnyGivenFunko wrote: I wonder if they will make a Street Fighter II as Savage World Figures. Duuuuddeee!!!! Please make this happen!! I firmly believe characters like Dhalsim would be more in the base of Stretch Armstrong. Street fight would be awesome, good idea. I'd love to see TMNT in this line. Might be close to the caveman tmnt figures. CaliCollectibles wrote: Street fight would be awesome, good idea. I'd love to see TMNT in this line. Might be close to the caveman tmnt figures. Both of these would look amazing! Never had any street fighter action figures, only ones from my childhood that I remember were those GI Joe cross over ones. I did used to have a ton of Ninja Turtlesn and I'd love to see them brought back as Savage World! I got the Duharrow King Pop from Funko’s Lord of the Rings line, that would translate most amazingly into Savage World! Sure wish that would happen. Now that Funko is the proud licensee of the Xena: Warrior Princess brand, including Xena (and her partner Gabrielle) in the Savage World line seems like a no brainer!